Chronic bronchitis lung abscess, pneumonia, Enteric fever, shigellosis. Multi-drug-resistant Tuberculosis, uncomplicated skin and skin structure infections, acute, gonorrhoea. Nongonococcal urethritis and cervicitis. Urinary Tract Infections. 200 mg to 800 mg daily from 5-7 days. For children 15 mg/kg/day in two divided doses. Acute or chronic prostatitis: 200 mg twice daily for 28 days. 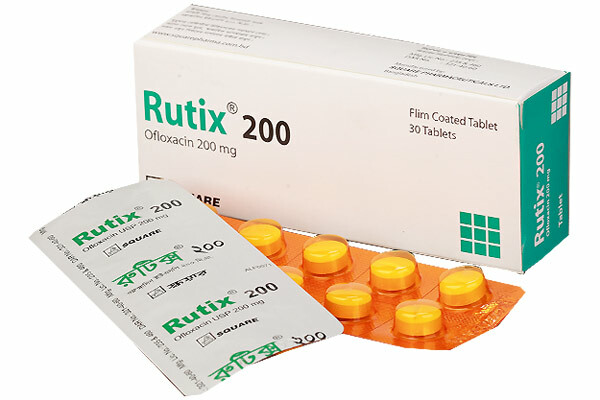 Rutix® 200 tablet: Box containing 3 x 10 tablets in blister pack. 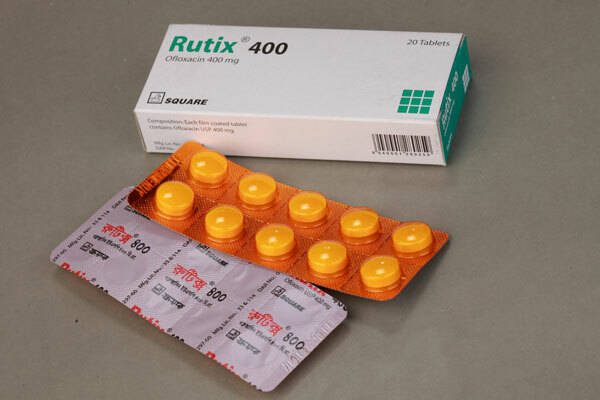 Rutix® 400 tablet: Box containing 2 x 10 tablets in blister pack.